In The Christ Files, a dynamic video-based small group Bible study, you will learn how historians know what they know about Jesus. Historian John Dickson embraces the need to examine Christianity's claims in the light of history, and thus opens participant's to a wealth of ancient sources and explains how mainstream scholars---whether or not they claim Christian faith personally---reach their conclusions. 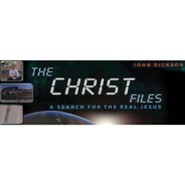 The Christ Files offers 5 downloadable MP4 videos, which may be purchased separately. You may also purchase all the video sessions together in a video bundle, or a set of PDF participant's guides. You may also purchase all of the videos and PDF participant's guides together in a complete kit. The group use PDFs cover each of the video sessions and can be reproduced for all members of your group.